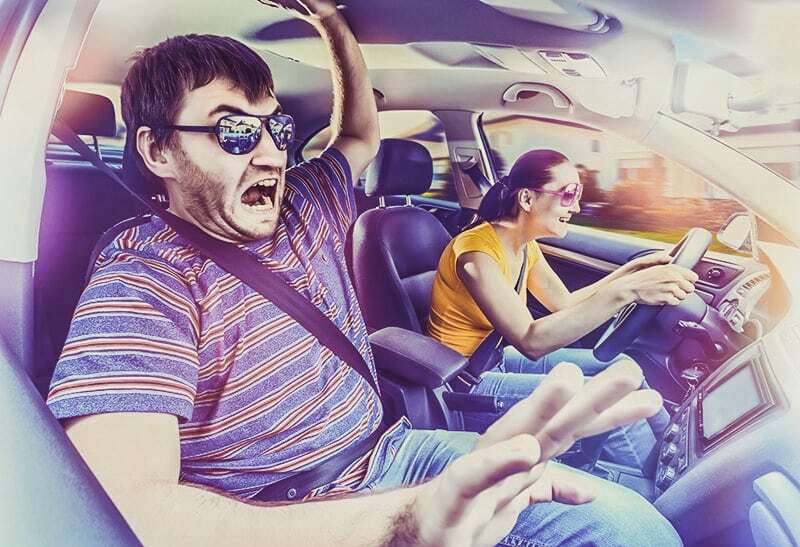 “Everyone behaves differently so deal with it.” That’s a quote you’ve probably heard in the past and you may not be able to get over it after seeing how some drivers behave while on the road. The more time you spend driving your vehicle, the more prepared you will be to spot some motorists who can impact your day, if not ruin it. While being aware of who you are sharing the road with is simply cumbersome, you still need to be focused on how some people perform based on their personality traits. Having said that, let’s explore 9 different types of drivers whose personalities will be, to some degree, predictable to you next time you hit the road. This driver takes things slowly. From driving at 10 mph to making random stops at every corner, this driver doesn’t seem to have any sense of urgency. You can easily spot these drivers everywhere but they are always found on the right lane. Watch out! This driver switches from being calm to immediate road rage in less than a second. They are very expressive and they are known for their ability to react with anger and passion. They are normally found on speed lanes and fast lanes but don’t even try to give them a hard time. Unless you find their offensive gestures amusing, stay away from them. This type of driver is as annoying as the irritated driver but they are more aggressive when it comes to their driving habits. You may find them driving recklessly along the highway, right behind you, and waiting for you to get lost. You could also see them getting closer, jeopardizing your safety while on the road. As these drivers are dangerous, you are advised to stay away from them by speeding up moderately or moving over. This driver tends to be all over the place, feeling anxious about his drive, and trying hard to avoid getting stuck in traffic. They are impatient and pushy by nature. Though nobody knows where they are heading to since they seem to be always driving against the clock. These agitators tend to keep a driving record that cannot let them get cheaper auto insurance policies. In essence, these drivers blow their horn repeatedly to hurry others in front of them or make an statement about their presence on the road. They are very easy to identify because they’ll make sure you know who they are. If you are in front of a loud honker, you may be tempted to drive in reverse. A driver who blasts loud music while on the road has very little respect for other drivers who just want to drive in peace. They are very close relatives to those pedestrians who play their music loud while walking. Have you spotted any of them yet? These drivers enjoy imposing their loud music on everyone they share the road with. Unless you find their noise pleasant, avoid getting any closer. These drivers are always multi-tasking as if they have the ability to do everything at once. You could always find them texting, making calls, eating or drink, browsing on Facebook, and even skyping while driving. Many of them are young drivers and they are usually involved in car crashes. These rare creatures are about to disappear from the map unless you escape from busy roads or urban areas. They always follow the rules and practice defensive driving to ensure everyone is safe. If you bump into one, feel free to ask them for some driving tips. The more you learn from them, the better! Watch out for this type of driver! They usually show poor driving skills and they are talented for making dangerous mistakes. Always try to stay miles away from them because they are unpredictable by nature. They are constantly swerving, speeding, and braking abruptly. They may appear confused and fearful at every stop, which makes it easier for you to identify them. Drivers are advised to watch out for any of these types of drivers as they have the ability to negatively impact your day if you are not cautious. If you know someone who matches with any of the above-mentioned descriptions, feel free to tag them.